The catalogue of an exhibition held at the Lowe Art Museum, U. of Miami, February-March 1992, traces Montana artist Butterfield's career with some 60 color reproductions. Her sculpture is centered on the figure of the horse, and displays her affectionate, energetic appreciation of the animal. 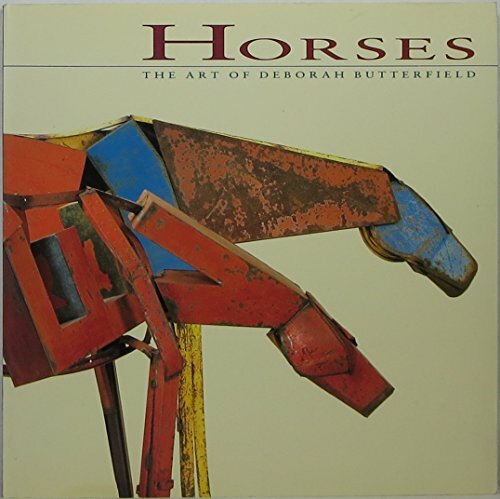 More than 60 gorgeous color illustrations of Butterfield's horse sculptures appear in this book, which includes a captivating interview and a thought-provoking critique. The horses here, created between 1973 and 1991, are a &quot;patchwork of colors68 &quot; composed of corroded scraps of painted metal, sticks, mud, wood, slate and other media. Butterfield's remarkable ability to suggest an alert, inquisitive or resting flesh-and-blood form with only line, gesture or armorlike twisted metal is well served by these photos; only the pieces' larger-than-life size is difficult to gauge. In an interview with Tucker, director of New York City's New Museum of Contemporary Art, Butterfield tells of her obsession with horses, her artistic &quot;dialogue with another species,&quot; her impression that each subsequent sculpture is &quot;like dancing with a new partner.&quot; Kuspit ( Alex Katz: Night Painting ) views Butterfield's horses as &quot;disintegrating&quot; and symbolic of the &quot;lacerated, compromised spirit of technological man&quot;; the death images he sees run contrary to Butterfield's own belief that her reclining horses are vulnerable but often alive and even giving birth. <br />Copyright 1992 Reed Business Information, Inc.